Argentona's mild climate and the medicinal waters of its Font Picant spring converted the town into one of the most cherished summer holiday spots from the end of the 19th century. Barcelona's most well-to-do families slowly began to construct luxury homes along the current Passeig Baró de Viver, which connected the town centre with the forest area around the spring, and a tram linked the town with neighbouring Mataró, to which you could arrive by train. 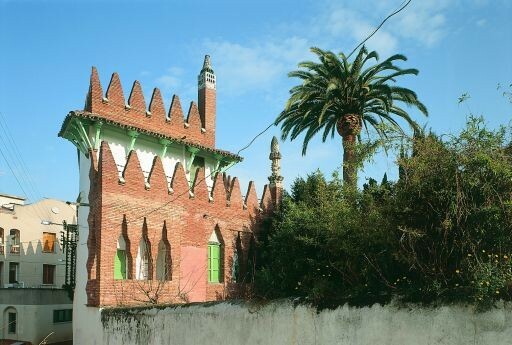 Therefore, one is able to find remarkable Modernista houses in the town, as well as an important number of buildings designed in eclectic styles. 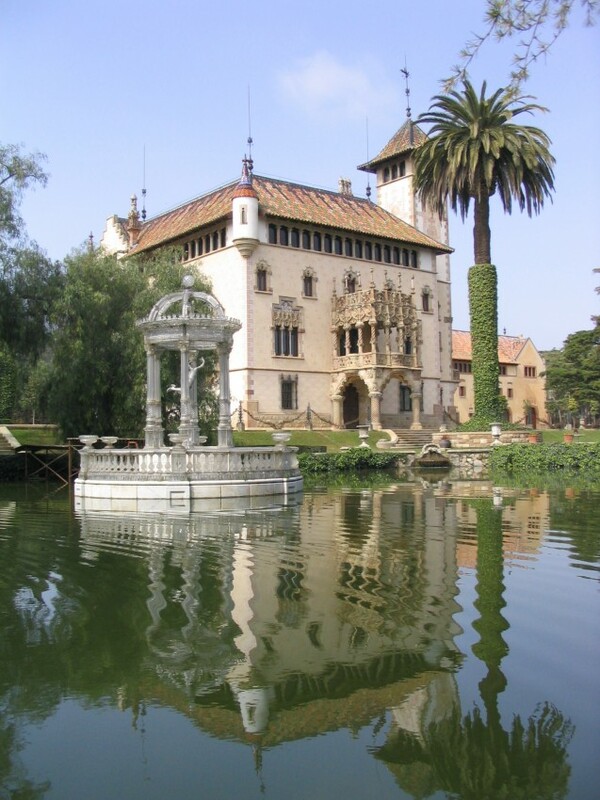 The most outstanding series of buildings, however, are those designed by Josep Puig i Cadafalch. Puig was from Mataró and chose Argentona as his summer holiday destination. For this reason, he acquired three old houses in the town and joined them together into a single family dwelling. 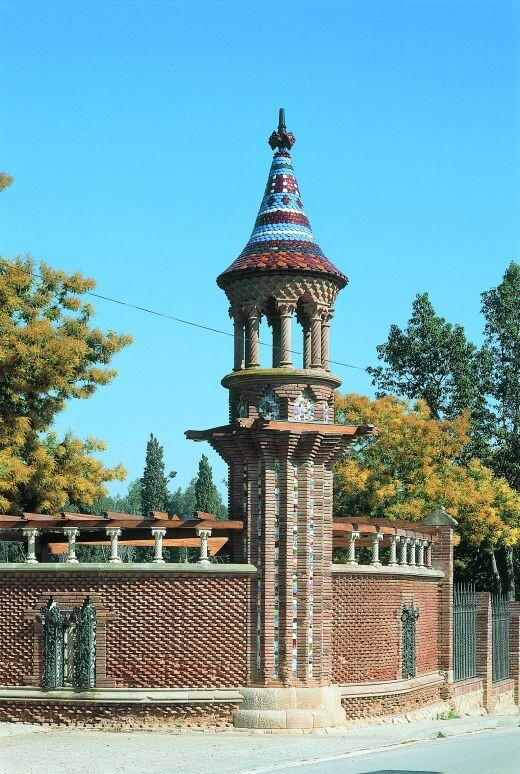 He began the work in about 1897 and it was completed in 1905. The residential complex is enclosed by high white walls crowned by brick merlons and a double façade on the garden side incorporating a balcony. In the courtyard, he built a striking pergola made from unseasoned wood. Inside, the design is a mix of naïve and rural styles, with simple wooden beams painted in bright colours and common materials combined with ornamental plaster cast sculptures that Eusebi Arnau had designed for other works by the architect. The house was designed during his most Modernista period, in which he painstakingly dealt with the applied and decorative arts. Also in Argentona, the architect undertook a design job on a historical building. In 1897, he restored and decorated the interior of the Santíssim Chapel in the Gothic church of Sant Domènec. The large family home that he designed in a leafy park on the outskirts of the town for the Garí family of bankers has a very different approach. The origins of the work dated back to the restoration of an old farmhouse that was converted into a residential home in accordance with the owner's new social standing. 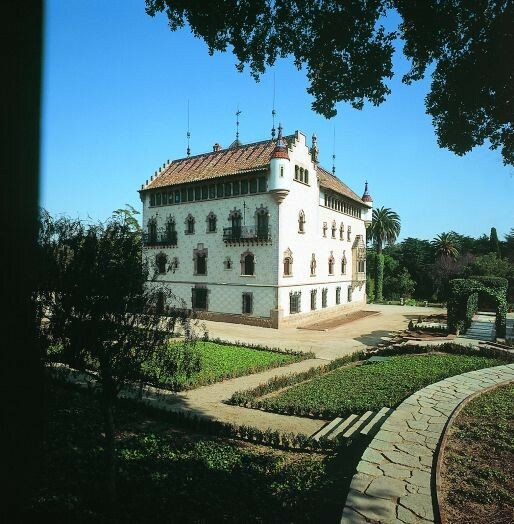 The huge square-shaped house has three floors, with a tower at one end and a running gallery on the top floor, all designed in a style between the Baroque and the Medieval. The façades are decorated with some beautiful sgraffito and the entrance gate is presided by a large portico supporting a balcony. His interior work, including ornamental sculptures, ceramics, stucco, beams, stained glass and furnishings, has an extraordinary quality about it and, like the entire house, all these elements have been perfectly preserved.